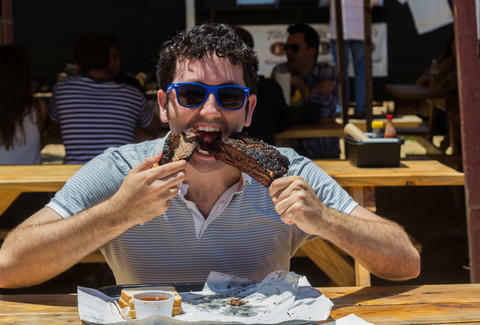 That's the day you're going to call in sick, and spend sunrise to sunset eating, drinking, and doing the best Austin has to offer. All you have to do is 1) print out this... printable BDOYL itinerary, 2) let us, ugh, hook you up with tons of crap along the way like 2-for-1 tacos at Tamale House and half-off pints at Banger's, 3) stay up to date with what everyone's doing on the social media page here, and 4) be mentally prepared for one very, very Big day. 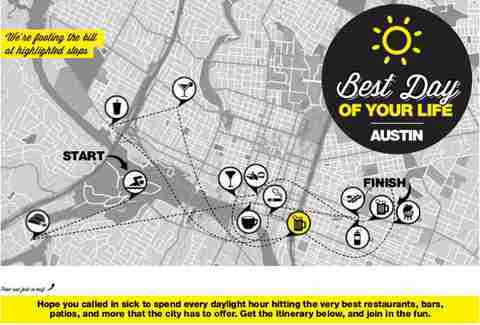 836p: As the sun sets on the Best Day of Your Life, watch its descent with a frosty beverage in hand at outdoor East Austin drinking destination to end all outdoor East Austin drinking destinations, Whisler’s.